This entry was posted on April 30, 2017 by Biscuit Brand. Biscuit Brand aims to be the best marketplace in the world to buy bulk biscuits. Biscuit vendors can simply upload their products on our site. We recommend biscuit vendors to sell at competitive prices to people who seek to buy bulk biscuits. Do you buy biscuits frequently? 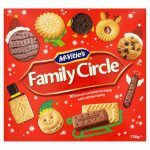 People often buy biscuits in bulk for various reasons such as parties, busy parents for children, to serve primary school pupils, workplace colleagues, gifts, businesses, etc. As a result, Biscuit Brand encourages sellers to clearly list the price of their product per quantity. We also aim to ave a system to automate the bulk order. This will give buyers peace of mind from running out of biscuits. Please click here to search and buy biscuit today.